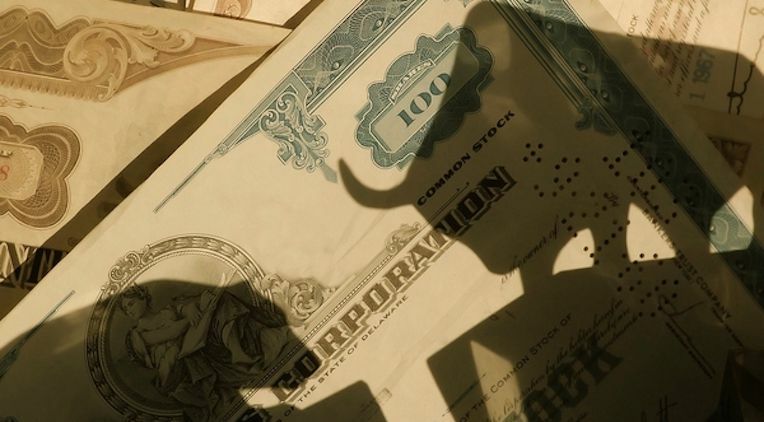 When you buy stocks, you have an ownership interest in a publicly-traded company. Not only are stocks key components to most individual retirement accounts but stocks are also the primary vehicle to raise capital for many businesses. Stock prices and the stock market, in general, have an influence on such things as consumer spending and borrowing, business confidence, and other decisions, all of which impact the economy. The relationship can also work the other way, where economic conditions will influence the stock market. When a stock's price rises or falls, it is an indicator of the value that investors place on that company and its future prospects. Likewise, the movement of the stock market as a whole is an excellent indicator of overall economic financial health. When most people think of the stock market, they imagine Wall Street as being the center of the world's financial universe. To an extent, this is accurate. While Wall Street itself only takes up a few blocks in a section of Manhattan in New York City, the clout that it exerts spans the globe. The term "Wall Street" now refers to the numerous institutions involved in the U.S. financial and investment industry. This includes the largest investment and commercial banks, mutual funds, hedge funds, asset management firms, broker-dealers, insurance companies, and so on. "The Street" as Wall Street is sometimes called has a significant influence in both, the U.S. and world economies because it is the main trading hub of the largest financial market in the world's wealthiest nation. The U.S. represents the largest economy in the world, with a current GDP of $19.42 trillion, which is 25 percent of the gross world product. In terms of market capitalization, the U.S. leads other world countries by a significant margin with a $27.3 trillion market cap against China's $7.3 trillion and Japan's $4.9 trillion. The U.S. market cap constitutes 42 percent of the world total, which is $64.8 trillion. What Does the Stock Market's Growth Measure? Consumers and investors across the globe view the performance of the U.S. stock market as a vote of confidence in the underlying economy. The Securities and Exchange Commission (SEC) is highly regulated, which raises the level of trust from investors around the world. Not only do companies across the globe want to be publicly-traded on U.S. exchanges, but investors are then able to quickly get detailed information on those companies to make informed investment decisions. Wealth. As the stock market rises or falls, shareholders will see a change in the value of their wealth. This holds true whether investors own shares in individual stocks, mutual funds, or index funds. Confidence. Share price movements are often in anticipation of something, either good or bad. This could have to do with the performance of the company itself or with other economic factors such as interest rate hikes or the fear of a recession. Investment. Falling or rising share prices can also be a measure of whether or not a company can raise additional investment dollars in the future. A firm might be able to issue more shares to raise capital, which could depress its share price. On the other hand, a falling market might make different investments more attractive such as bonds and precious metals. Pension funds. While not many companies still offer pensions, there are some that have this benefit. What many people don't realize is that private pensions might invest in the stock market. If there is a prolonged rise or fall in the market, this will affect the value of those pensions and could even lead to lower or higher payouts at retirement. Business investment. The stock market might be a source of business investment for some companies, which could lead to growth. When a company grows, it will usually add more jobs, buy materials, and boost production. Short-termism. It's often argued that the psychology of the stock market encourages short-term investment for big rewards. Since firms are under pressure to produce this short-term growth, there might be a tendency to cut corners or reduce staff to make the numbers as favorable as possible for investors. These actions can hurt consumers who are non-investors. An up or down market will certainly have an impact on consumer spending and some borrowing. When we are in a bull market, which we have been in for nearly nine years now, there is a wealth effect. Essentially, consumers feel more confident that their investment portfolios will continue to increase in value. Those same consumers might begin spending more cash on big-ticket and other non-essential items. On the other hand, if the market begins to slide or if there is fear of a market crash, consumer confidence will wane. Just the anticipation of falling portfolio values will create a dip in consumer confidence. People will stop spending on nonessential items and will put off big-ticket purchases for things such as cars and homes. These actions alone are enough to slow overall economic growth and impact the country's GDP. Whether consumers decide to spend more or less because of the stock market's performance, this will also be reflected in the level of borrowing. Each month, the Federal Reserve Board releases the Consumer Credit Report. This report estimates the changes in outstanding consumer loans for autos, homes, but not home equity lines of credit (HELOC). The report covers both revolving and non-revolving credit, which can give a good indicator of both consumer and lender attitudes in reference to the market's growth. While the performance of the stock market doesn't directly impact the housing market and mortgage rates, there is a correlation between the two. As we noted above, consumer sentiment is a driver of major purchases, such as new homes. If the stock market is booming, there is a better than good chance that the housing market will be on an upswing as well. The relationship between the stock market and interest rates and the mortgage origination market is another story. There isn't a single factor that moves mortgage interest rates one way or another, but stock market activity can come into play. Mortgage loans themselves are funded from the investments in mortgage-backed bonds. A significant portion of the bond market is made up of mortgages, and the 10-year treasury yield is often used to predict or track mortgage rates. Knowing the relationship between bonds and mortgage, how does the stock market factor into this equation? When the stock market is on the upswing, investors might exit their bond positions to buy stocks. Conversely, a downturn in the market will find more investors putting their money into bonds. In many cases, the two are competing for the same investment dollars, but this may not always hold true. Between 2009 and into early 2013, historically low interest rates coupled with a rising stock market found both stock and bond markets rallying together. When the stock market falls, in most cases bond yields will also fall. The opposite is also the case. When we have low mortgage rates, this will also help drive the housing market, which is another major U.S. economic indicator. One key economic figure which indicates whether or not consumers are bullish or bearish is the delinquency trend rates for loans. A delinquency rate is the percentage of loans in a portfolio that have delinquent payments. The rate is simply the number of loans with delinquent payments divided by the total number of loans held by an institution. Our record stock market and low interest rates over the past several years have had an impact on loan delinquencies. As consumer confidence levels rose, many chose to put their cash into new cars in 2017. CNBC reports that there are now more than $1 trillion in outstanding auto loans and that one-third of U.S households are making auto loan payments. Unfortunately, many consumers are also purchasing more car than they can afford. Even though overall delinquency rates remain low by historical standards, the highest rates of loan delinquencies are with auto loans. There has been a recent boom in the auto financing and leasing market as well as an increase in subprime lending. According to the American Bankers Association, the rate of auto loan delinquencies is higher than in any other category. Mortgage lenders aren't out of the woods when it comes to delinquencies either. A bull market may encourage consumers to buy their first home or make a larger home purchase than originally planned. Conversely, fear of a market downturn or an actual dip could cause consumers to default on their mortgage loans. At the beginning of 2017, the Dow was in full swing and reaching multiple milestones. The Federal Reserve reports that Q2 delinquencies for mortgages on single-family homes was 3.68, down from 3.91 in Q1 and 4.14 in Q4 of 2016. Just as growth in the stock market can tell us a lot about our economy, the effect can work both ways. Sometimes, it's a cyclical effect, meaning that stock market growth drives other economic indicators which, in turn, drive further investing activity. GDP is a perfect example of this relationship. Gross Domestic Product (GDP) is driven higher by a bullish stock market. As the value of stocks and the underlying companies increases, those businesses should report growth and better earnings. Employment goes up, as does consumer confidence and spending. Investors will continue to be attracted to the market, which will drive it and the GDP even higher. Conversely, lower GDP or employment numbers may not be good news for the stock market. Investor confidence will wane, and enough bearish sentiment could result in a stock market correction or even a crash. This could put the country in danger of increased loan delinquency rates and a prolonged recession like the one seen after the 2008 stock market crash. In October, the stock market hit record highs again when the Dow passed the 23,000 mark. The Dow is currently up 28.6 percent from this time last year and more than 254 percent since March 2009. Even with gradual increases in interest rates over the past year, the stock market continues to perform which is good news for investors and lenders. Provided there is a market downturn in the coming year, as some experts have predicted, the impact on loan delinquency rates could be substantial. Possible increases in mortgage rates coupled with a market downturn could translate into financial hardships for consumers. When consumers have to choose which bills to pay, they may put off paying the largest bills such as a mortgage or HELOC. An increase in loan delinquencies will impact a bank's loan portfolio. With tighter credit markets, the proactive approach to a potential downturn is to partner with an asset management company with the ability to buy loans from banks. A bank of any size can mitigate risk by reallocating portfolios by selling high-risk assets and acquiring others with greater profit potential. The stock market will continue to go up and down over the years. Fortunately, banks now have the tools needed to deal with possible changes in delinquency rates and shifts in loan asset values.